The seaside production studio built to film "Titanic." Help improve Atlas Obscura by expanding Baja Film Studios with additional information or photos. 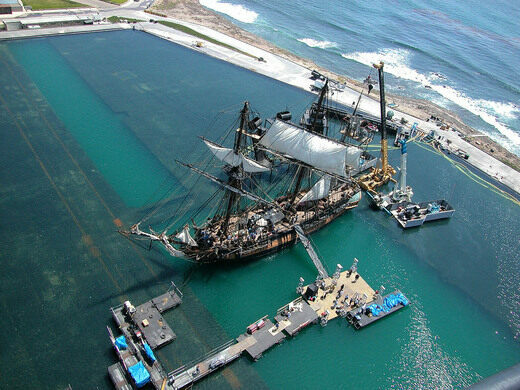 Built as a set for the epic blockbuster Titanic, the Baja Studios production facility is built on 46 acres with more than 3,000 feet of oceanfront overlooking the Pacific Ocean near the Mexican resort community of Rosarito, Baja California. 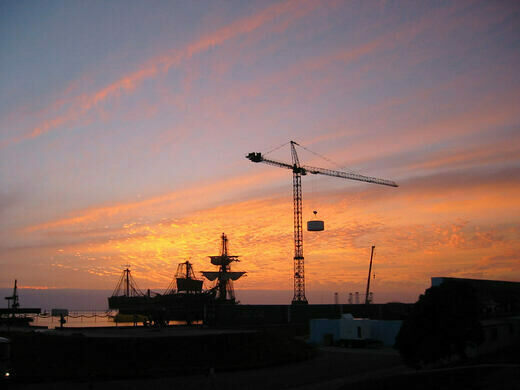 It’s been the production site for several feature films since Titanic, including Tomorrow Never Dies and Peal Harbor. Tijuana's legendary jai alai or "basque ball" palace is now a massive music venue. Every weekend, people gather here for a brief chance to see their loved ones on the other side of the U.S.–Mexico border. The American rainmaker and a burst dam. This ordinary set of steps is a must-see destination for fans of a certain romantic anime. The lighthouse central to the 1980s horror classic "The Fog" is in fact located in one of the foggiest areas of the Pacific Coast. Italian director Pier Paolo Pasolini fell in love with this lonely 13th-century tower while making his most famous film.